Despite a difficult first race with Williams at the Australian Grand Prix, Robert Kubica says he has no regrets about his decision to return to Formula One. The second part of ESPN's team-by-team preview for the 2018 Formula One season looks at the top five from last year's championship standings, including the three teams most likely to fight for the title. Following ESPN's analysis of the battle brewing between F1's top three teams, we take a look at how the midfield is shaping up after two weeks of testing at the Circuit de Catalunya. Williams might have to wait until the latter parts of the 2018 Formula One season to fully optimise the potential of its car, according to technical chief Paddy Lowe. Robert Kubica has warned against making comparisons between his and Williams rookie Sergey Siriotkin's times over winter testing. Williams has confirmed Martini will end its sponsorship of the team when its current agreement expires at the end of 2018. Williams believes Lance Stroll can have a "phenomenal" second season in Formula One. Williams technical chief Paddy Lowe says the benefits of Halo far outweigh any criticisms about how the cockpit protection device looks on a Formula One car. Robert Kubica has not given up on his dream of a full-time return to Formula One and says he is buoyed by how close he came to a securing a 2018 race seat with Williams. Williams has released the first images of its 2018 car following a season launch event in London. Former Williams teammates Felipe Massa and Lance Stroll appear to be at odds over the amount of help the Brazilian veteran offered the Canadian rookie last year. Williams will launch its 2018 car, the FW41, on February 15 at an event in London. Williams has confirmed Sergey Sirotkin will drive for its team alongside Lance Stroll this year, filling the last available place on the 2018 grid. Robert Kubica says his ability to drive a Formula One car is 90 percent the same as it was before his rallying accident in 2011 as he waits to hear news on a potential return to F1 in 2018. Robert Kubica insists he will only return to Formula One if he has the ability to do so at the very highest level, saying the good news story surrounding his comeback would count for nothing without on-track results to back it up. 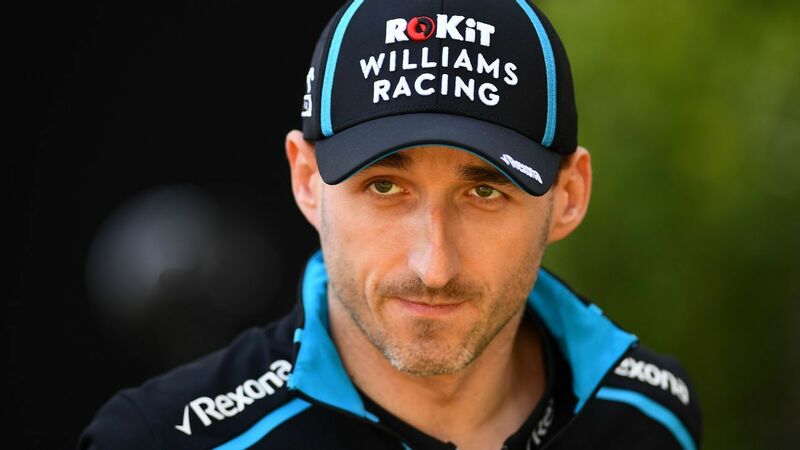 Williams technical chief Paddy Lowe has refused to give any indication of the team's plans for Robert Kubica beyond this week's tyre tests. Felipe Massa likened his emotional send-off at the Brazilian Grand Prix to one of his 11 career victories. Williams technical chief Paddy Lowe has dismissed suggestions that the team's 2018 driver decision will be restricted by title sponsor Martini. Robert Kubica has completed a one-day test in a 2014 Williams test car in the first part of the team's evaluation of his potential for a race seat next year. Felipe Massa doubts the tests Williams are planning to give his potential replacements, Robert Kubica and Paul di Resta, will give the team a much better understanding of its driver line-up for 2018. Robert Kubica appears to be losing faith in his chances of a remarkable comeback to Formula One next year. Maurice Hamilton reviews the recent Channel 4 documentary following bike racer Guy Martin's one-race cameo on the Williams pit crew in Belgium and explains why he thinks it painted the sport in exactly the correct light. Felipe Massa is still undecided on whether he wants to extend his Formula One career into a 16th season. Williams' "painful" weekend leading up to the Belgian Grand Prix is proof the team is failing to out-develop its midfield rivals, according to Felipe Massa.